It’s the most wonderful time of the year. Well, at least it is for us Lush lovers. Easter is an interesting holiday. First of all, Easter is on a different day every single year. Not everyone celebrates Easter of course, but we still enjoy walking around Target and seeing all of the decorations out in full force. We love the aspect of Easter that includes putting bunny ears on our pets. And then, there’s the sugar. Easter candy is arguably the best of the holiday candies. 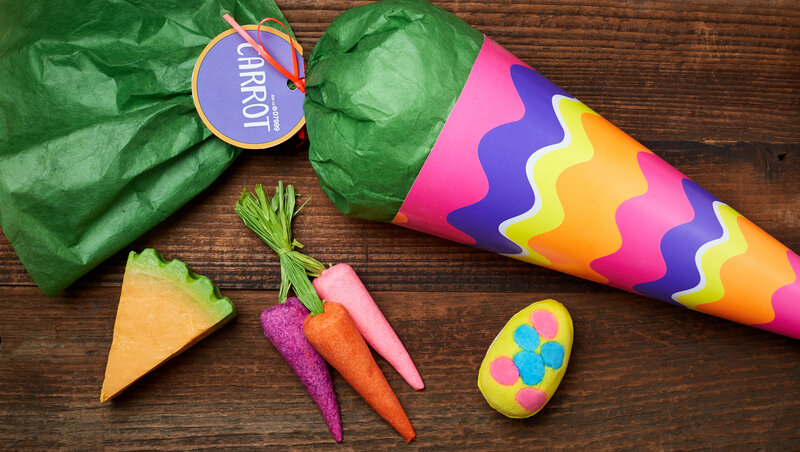 If you’re looking for a colorful way to celebrate Easter, Lush has your back. 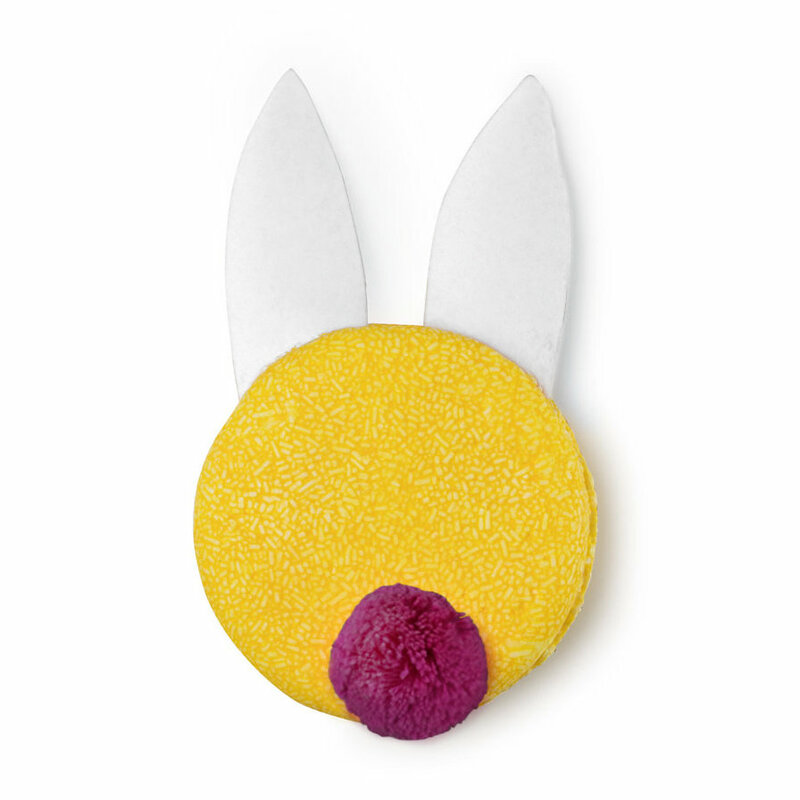 On March 1st, they launched 16 new handmade and package-free Easter products. 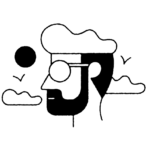 Each and every item will fill you with whimsy while also providing you with so much self-care. The best part? Every single product is vegan. 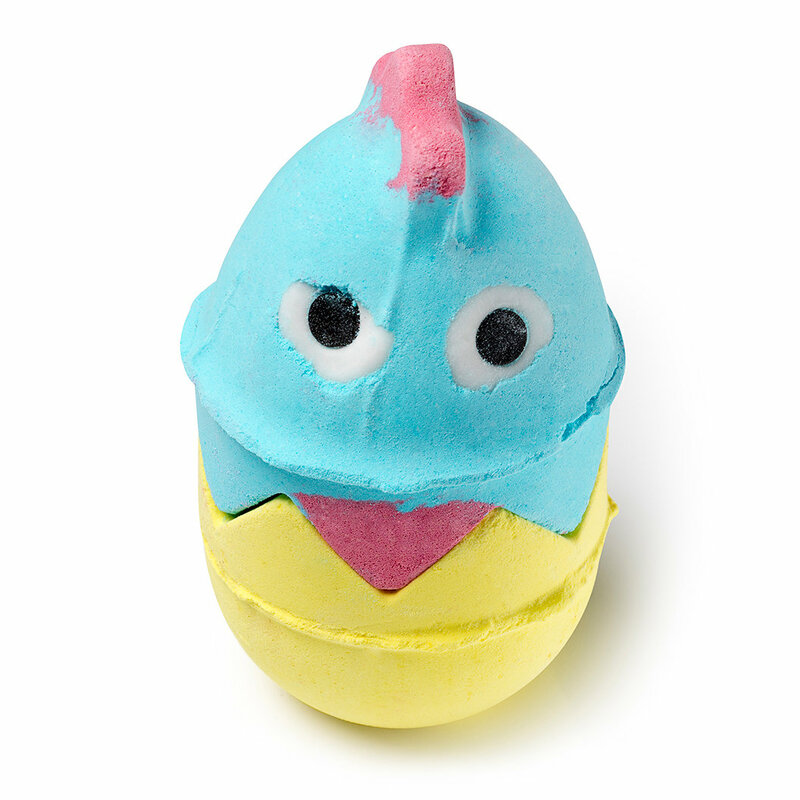 These amazing Lush Easter products will help you usher in the impending spring and say bye-bye to the winter blues. Let’s take a little peek at what’s available now. These adorable balls of fizz are good for two baths and will 100% clear up your mood. They are too adorable to have any other effect. 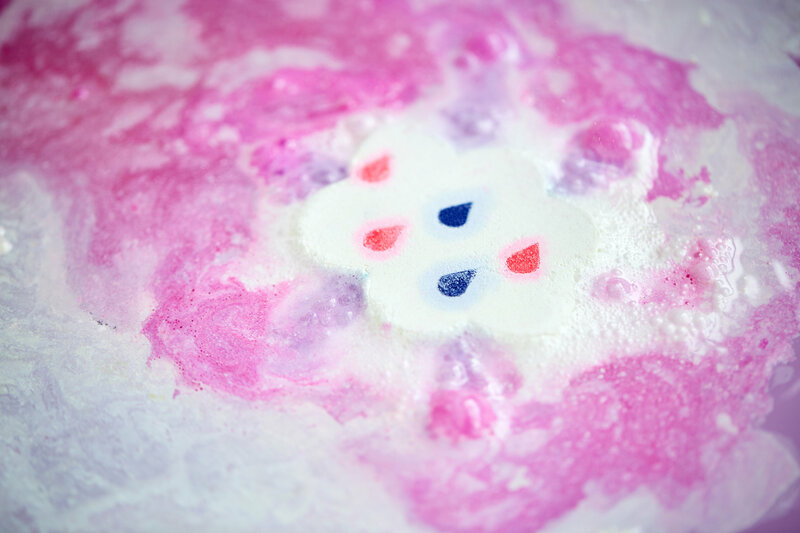 This is another bath bomb that will definitely make you feel like you’re Harry Potter trying to solve a riddle. 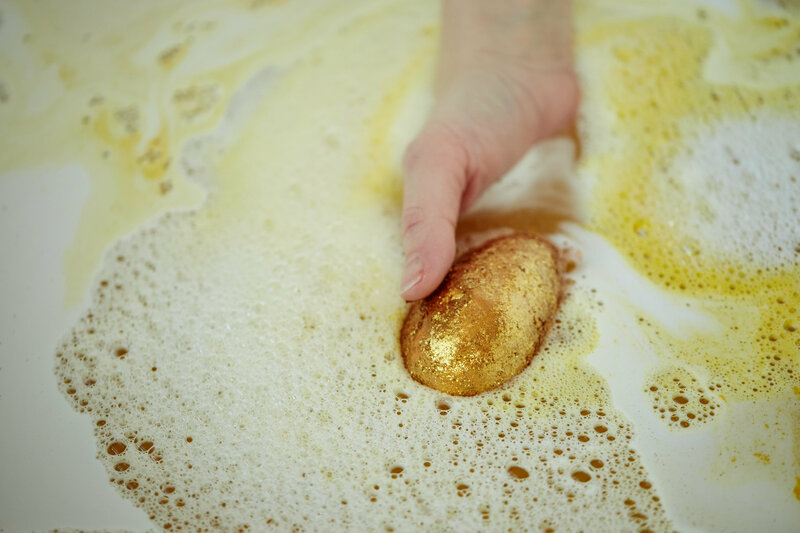 Your bath water will turn a beautiful liquid gold color, and a sweet toffee scent will surround you. 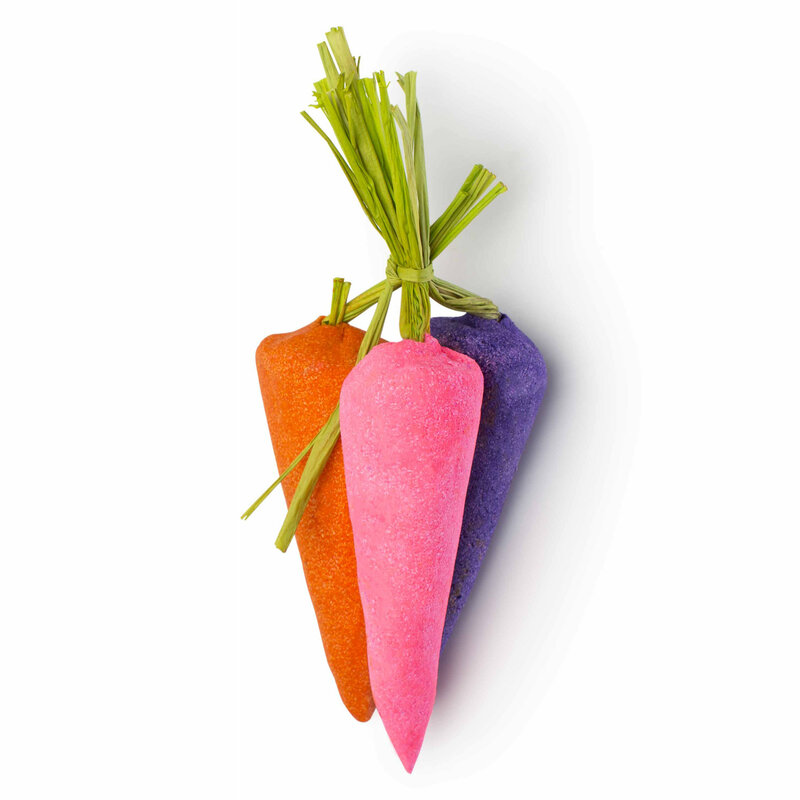 Rainbow carrots are already the cutest vegetable, so get ready for this Bunch of Carrots Bubble Bar. The handmade carrots are composed of lemon and bergamot. Get ready to relax while you think about munching like Bugs Bunny. There is nothing like a hot bath after getting stuck in a rainstorm. 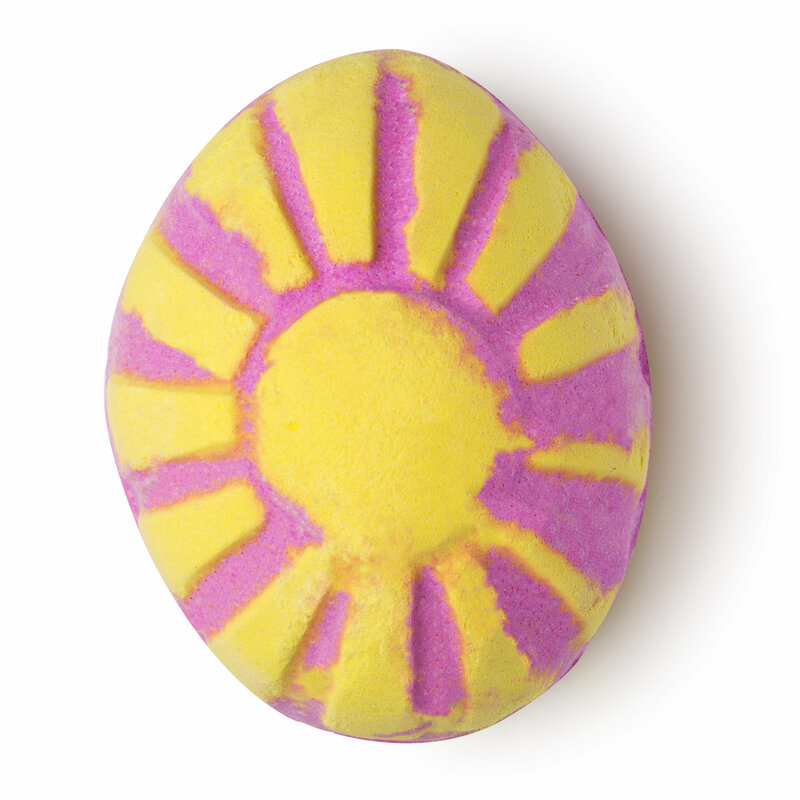 The April Showers Bath Bomb will remind you that even the rain can bring something refreshing. Made of violet leaf perfume and cocoa butter, you will be soft and warm after you drop it in the tub. 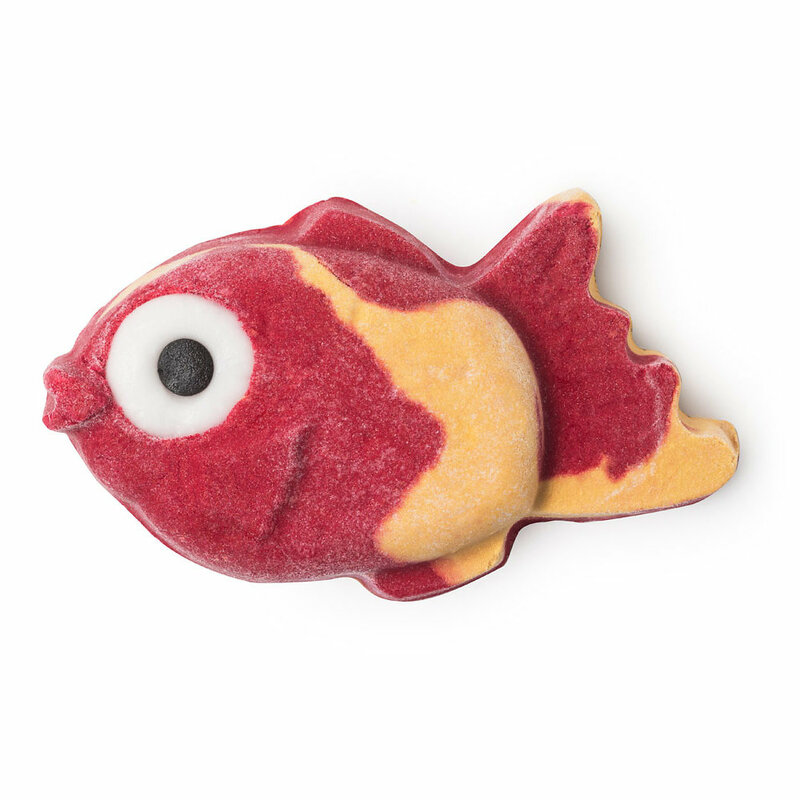 Shaped like the cutest koi fish of all time, this bubble bar is made of neroli, spicy black pepper, and cinnamon leaf. If that doesn’t sound refreshing, we have no idea what does. Similar to the Bunch of Carrots Bubble Bar, to use the Seven Deadly Spins Bubble Bar, just hold it under the running water of your bath. 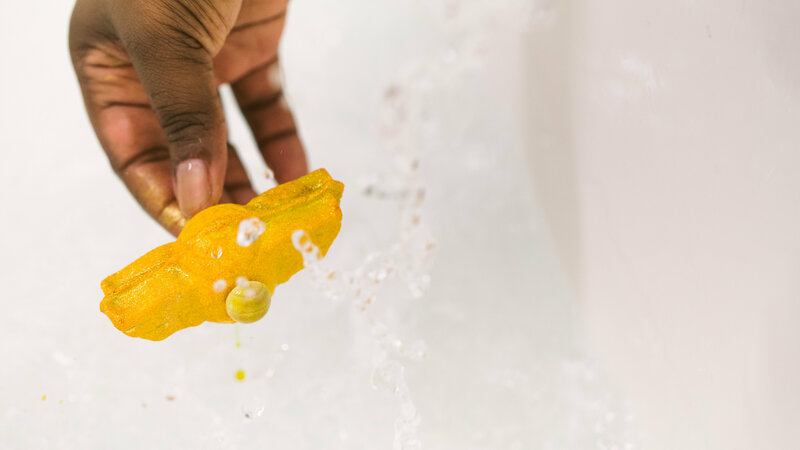 This bubble bar will do the rest and encompass you in a fresh, citrusy world. 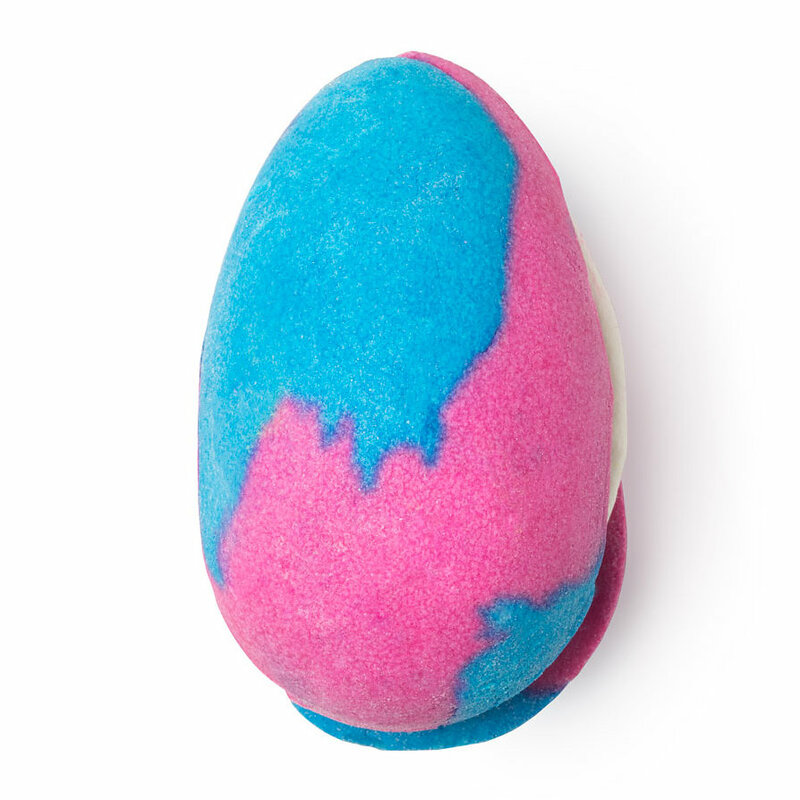 Crumble one of these bright eggs under the running water to watch your bath fill up with fragrant, colorful bubbles. Made of spearmint, shea, and cocoa butter, it’ll make you feel extra clean and super relaxed. The eggs come in three varieties: pink, yellow, and blue. More of a cream kind of person? The Here Comes the Sun Shower Cream is easy to use. Just get in the shower and lather on up. This particular cream is made of orange juice, which softens your mood and makes your suds super citrusy. A giant egg-shaped bath bomb that smells like grapefruit and vanilla? Yes, please, sign us up for multiple. Available in stripes and spots! If you’re not a bath bomb person, Lush still has something super springy for you. Their shampoo bars are already the best, but this one is shaped like a bunny rabbit. The bar is made with carrot oil, which has detoxifying powers, and lemon oil, which will give you super shine. Step up your soap game with conditioning cocoa butter, tangerine-cedarwood scent, and yes, real carrots! This little bar of soap looks like a piece of carrot pie, but please don’t eat it. If you want to give someone (or yourself!) a great Easter basket stuffer, this is what we’d recommend. The psychedelic carrot is full of surprises like the Bunch of Carrots Bubble Bar, a Cream Egg Bubble Bar, and a bar of Carrot Soap. 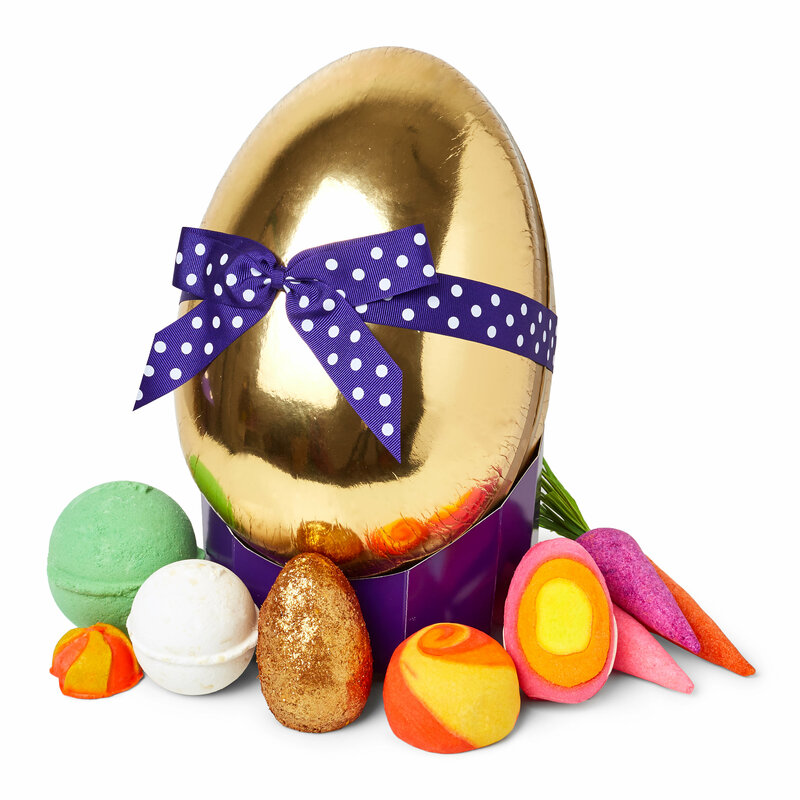 This beautiful golden egg is also full of goodies. The packaging itself is stunning, but what’s inside is even better. This gift contains seven different bathtime treats including bath bombs and bubble bars. 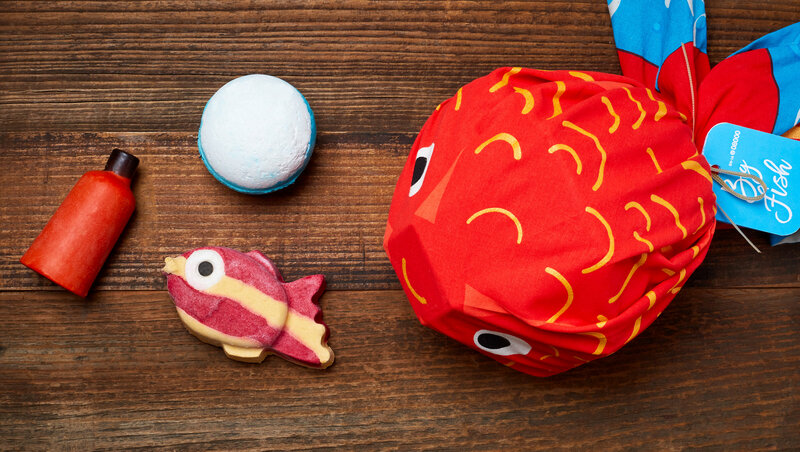 Gathered in a reusable wrap, the Big Fish is a gift package with the aquatic-themed items shows above. That’s the Poisson d’Avril Bubble Bar, the Here Comes the Sun Shower Cream, and a bath bomb to boot. You can choose the reusable wrap as well — available in April Showers, Psych-Egg-Delic, and Cactus Club. These items are all out right now, online and in Lush stores. Lush is also working with Space Coast Animal Rights to end the sale of animals as Easter gifts. 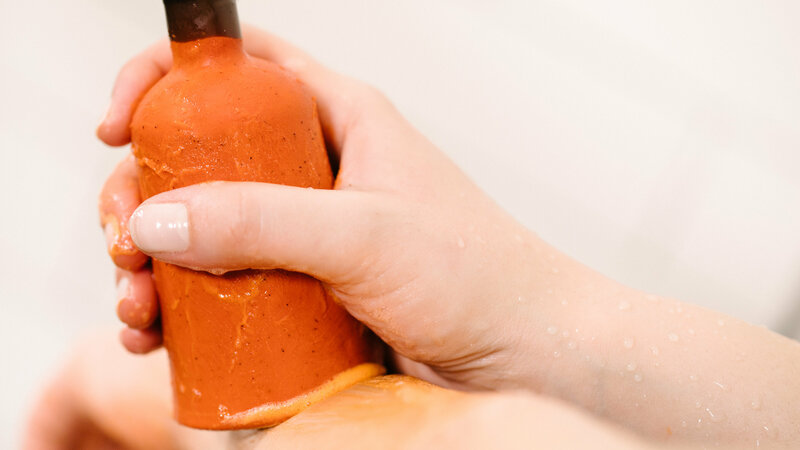 Buy a vegan Lush product and have a clear and guilt-free mind as you soak your winter blues away!